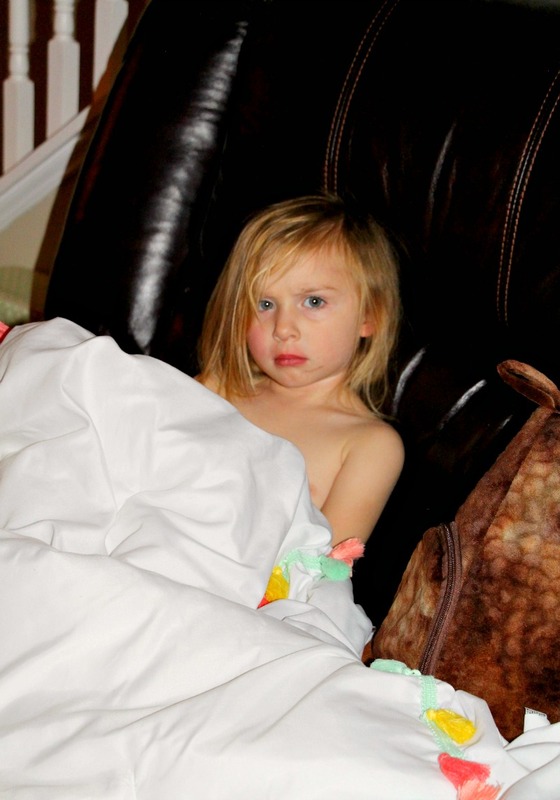 Posted on January 29, 2018 February 6, 2018 by Heather W.
This has been a rough cold and flu season for our family, especially my three year old daughter. My sweet girl has been battling a cold on and off for a few weeks now and just when I thought she was getting better, she woke up Christmas morning with a hoarse voice and fever. Despite being under the weather, Addie opened all of her gifts with a smile and excitement. But sadly by afternoon she was on the couch feeling worse than ever, I just so happened to catch a picture of her right before she fell asleep. Broke my heart to see her so sick and miserably on Christmas, especially when she didn’t seem to be getting and we eventually had to visit her pediatrician when she started crying in pain about her ears hurting. Just this afternoon we made a trip to Kroger to pick her up antibiotics that will help with her ear infection and cold. While waiting for her medicine to be ready, I made a trip around the store to collect everything I needed for what I consider to be the perfect cold and flu sick kit for families. These are items that I always make sure to stay stocked up on during the cold season. I have a special cupboard in the kitchen that contains all of these items. 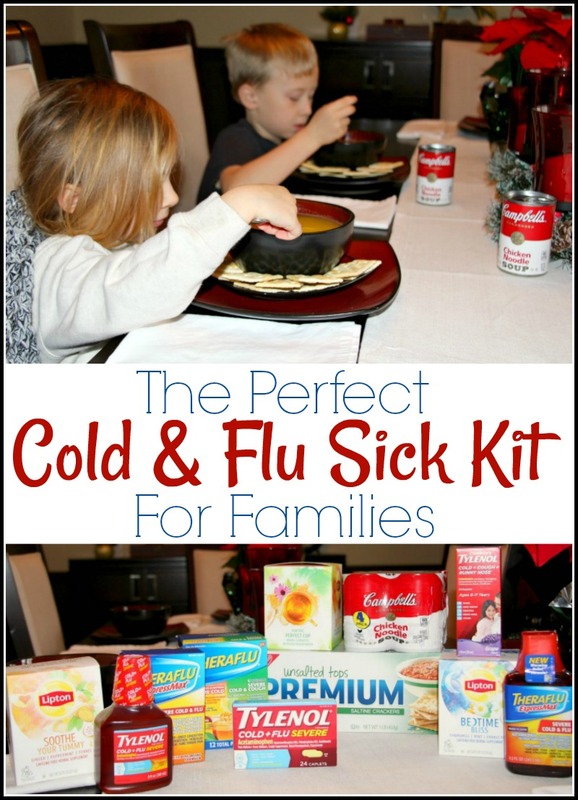 Make sure to get out a pen and paper because I am about to share with you how to create a cold and flu sick kit that will help your family when that dreaded cold visits your home! Say hello to that well-being feeling! 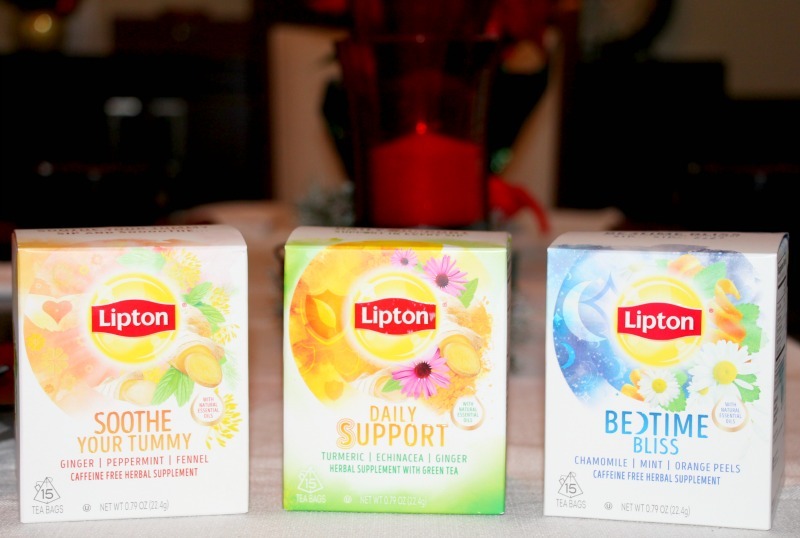 I have recently discovered Lipton’s new wellness range of herbal supplements, which are boosted with botanicals. Each blend is a unique combination of 3 botanicals and they are expertly sourced and carefully blended with essential oils that are known for their wellness benefits. First up is their Soothe Your Tummy tea with ginger, peppermint and fennel caffeine free herbal supplement. Then there is the Daily Support tea which contains turmeric, echinacea and ginger herbal supplement with green tea. Last in this trio is the Bedtime Bliss which has chamomile, mint and orange peels caffeine free herbal supplement. The next three items in my sick kit consist of three Theraflu products which contain powerful relief without a prescription. As parent of three kids, making sure my husband and I can gain some relief from our colds is important because there is no laying in bed all day for us! The ExpressMax Severe Cold & Flu Caplets, ExpressMax Severe Cold & Flu Syrup and Severe Cold & Cough Daytime Powders are all great options for us to take both during the day and nigh time! 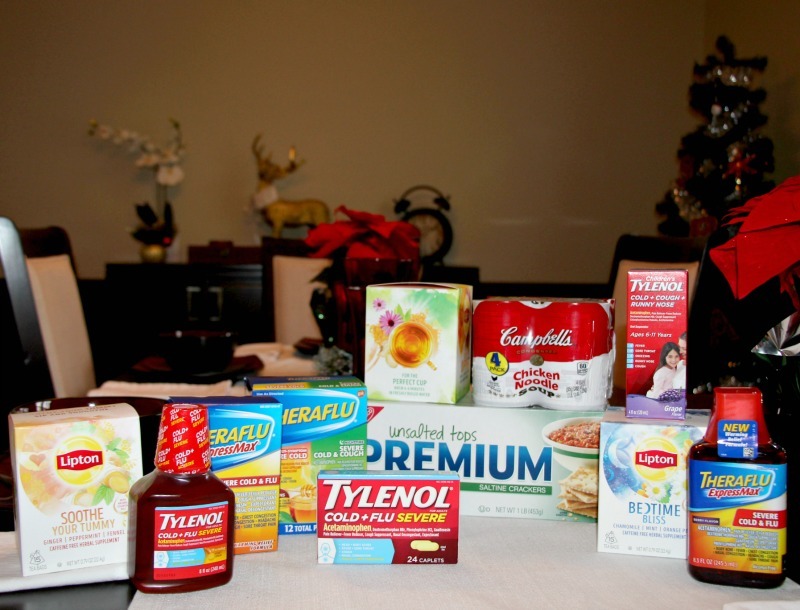 This simply isn’t a sick kit without some of my most trust TYLENOL® products! In this kit I have chosen to include the TYLENOL® Cold + Flu Severe Day/Night (Convenient caplets to relieve painful cold and flu symptoms like coughing, congestion, and sore throat both day and night. ), TYLENOL® Cold + Flu Severe Warming Honey Lemon (A comforting warming liquid to temporarily relieve your tough cold and flu symptoms by clearing nasal congestion, quieting coughs and relieving minor aches and pains.) 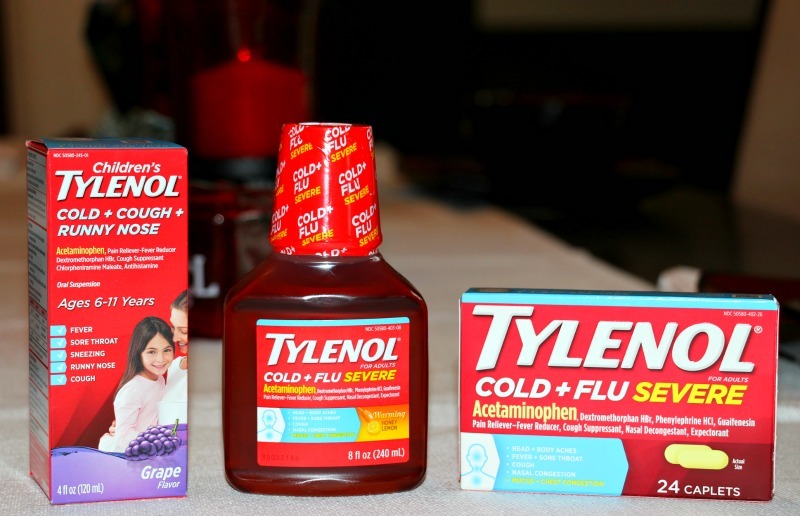 and Children’s Tylenol + Cold Multi-Symtom Grape 4oz. (Grape flavored liquid to tackle your child’s tough multi-symptom cold by temporarily relieving runny noses and headaches, quieting coughs and reducing fever). Now that your kit contains all of the medicines to tackle your cold and flu symptoms both day and night, it’s time to include something to keep your energy up! Staying hydrated and getting food in your belly is very important when you’re sick. My pantry is never low on supply when it comes to soup and crackers, especially chicken noodle and saltines! Getting your kids to eat is tough all on its own, but add being sick to the mix and it is near impossible! 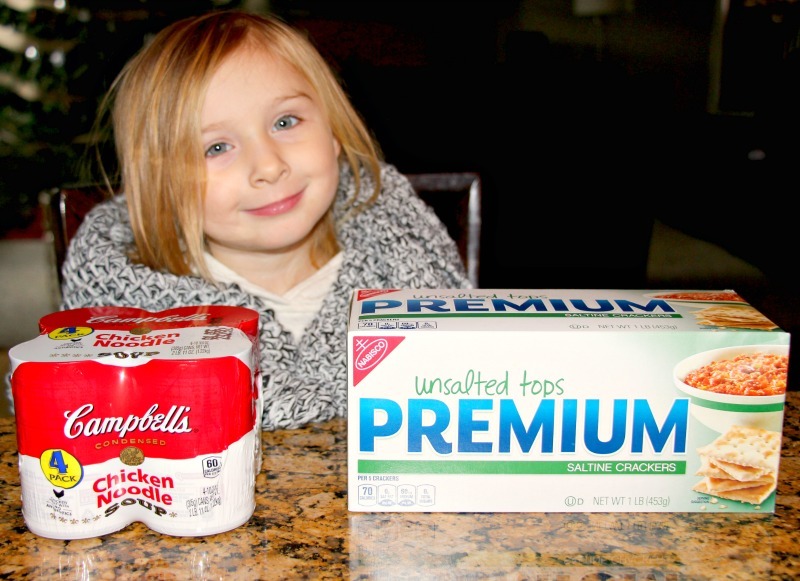 I never have trouble getting them to eat some Campbell’s® Chicken Noodle soup and Premium Unsalted Tops! 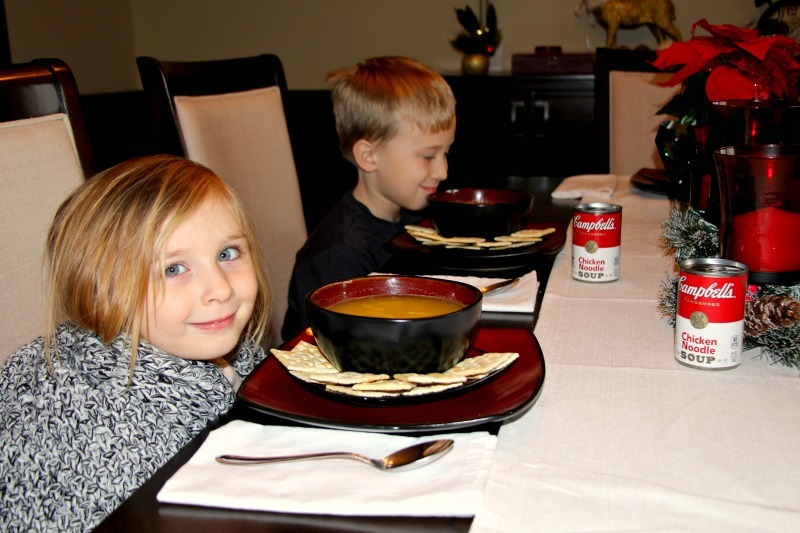 Just look how excited my girl is to get some warm soup in her belly. Campbell’s® soups warm you up when you need it most. 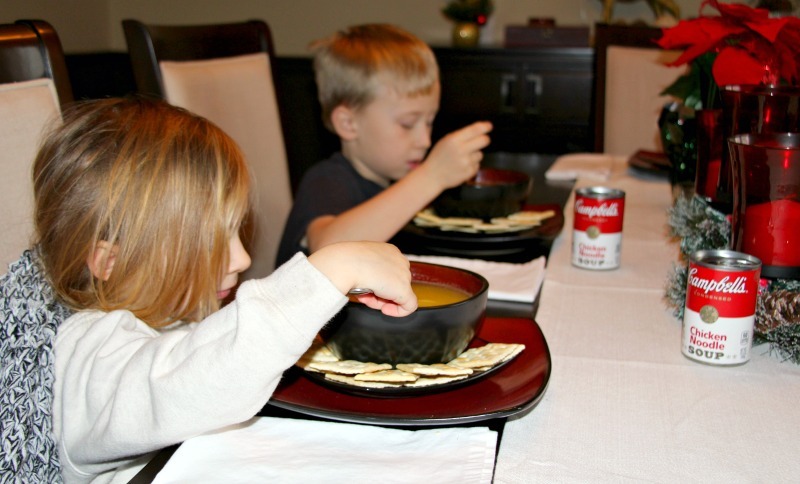 This is a soup that I remember having each and every time I was sick when growing up and it makes my heart happy to see it bringing smiles to my own children when they are sick. I love that I can create a simple meal that my children can enjoy when they are sick. 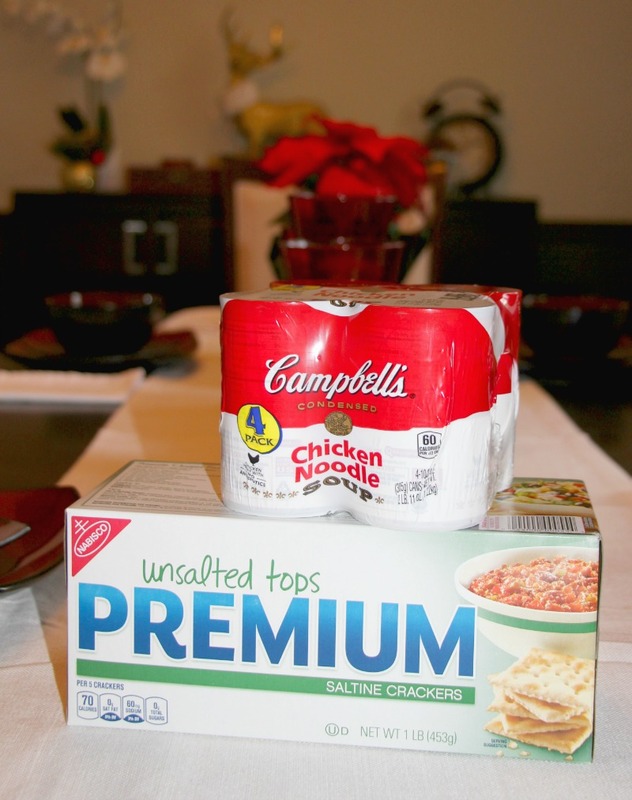 They just love to dip saltines in their soup, Nabisco PREMIUM is the #1 saltine cracker and a must in every sick kit! I hope you enjoyed learning about the must have items I always have included during cold season in our family’s sick kit! Make sure to head to Kroger to find all of these items and keep them stored together in one location. For your convenience have included images down below of the aisles and locations of all of the items featured in this post…. plus I wanted to show you all the great savings you can score at Kroger! Let me know in the comment section below if you have created this sick kit and what items did you make sure to include! Campbell’s® – © 2018 CSC LP Lipton – © 2018 Unilever Theraflu – Read and follow label directions. 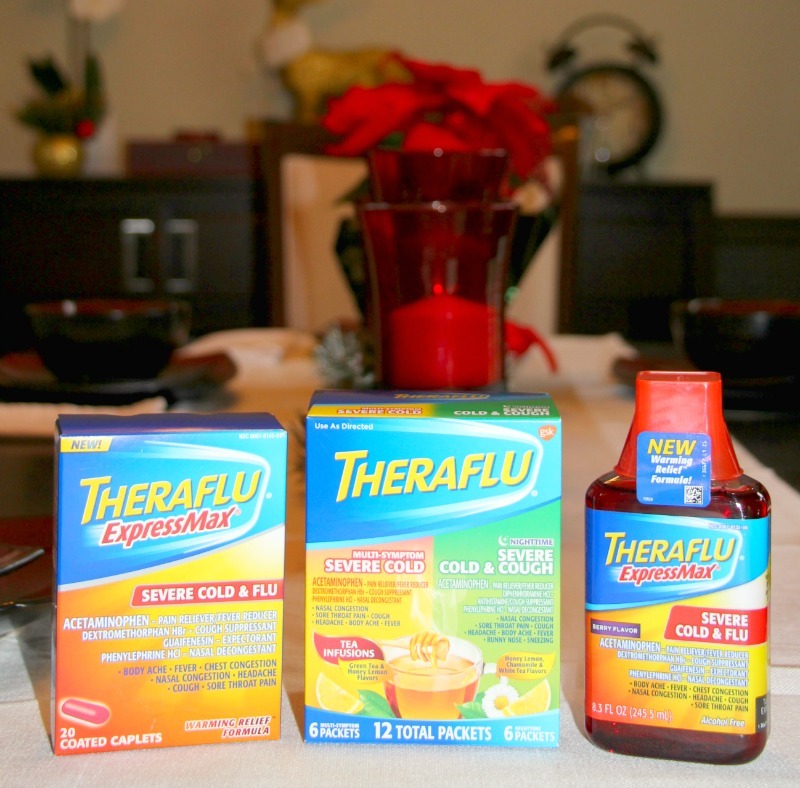 Theraflu is for use in adults 12 years and older. Use products only as directed.